It’s been a long time since I posted anything new here, but I have been recently showered with good fortune. Gold Star Road was selected this week for the Sheila Motton Award from the New England Poetry Club for best book of poetry published in the previous two years. Then, within hours, it was announced that I had received one of eight Brother Thomas Fellowships, a $15,000 award administered by The Boston Foundation. Needless to say, I am thrilled. 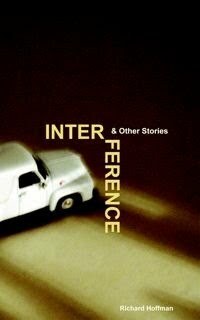 I also want to extend an invitation to any and all to join me in celebration of the publication of my story collection, Interference & Other Stories, on October 22, 2009, at GOOD FOOD CAFÉ, 2378 Massachusetts Ave., Cambridge, MA 02140. Click here for directions. There will be food and fun, door-prizes, and I will give a short reading. Porter Square Books will be there selling books.